Ulcers, sores on the lining of the stomach, esophagus and intestines, can be caused by a bacterial infection or anti-inflammatory medicines such as aspirin, ibuprofen, naproxen and ketoprofen. Stomach acids and other stomach juices can burn the lining of the digestive tract, further irritating the ulcers. Emotional and physical stress can also irritate ulcers. Foods that can irritate the lining of the stomach should be avoided because they may make an ulcer worse. 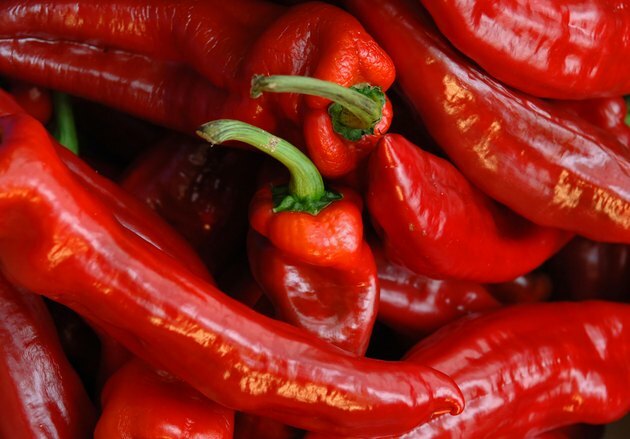 Hot peppers such as jalapenos, ghost peppers, serrano peppers, habanero peppers and ancho peppers may aggravate digestive system ulcers, also called peptic ulcers, by triggering heartburn. This heartburn may irritate the stomach lining and worsen symptoms of ulcers, according to Drugs.com. Symptoms include stomach pain, vomiting and loss of appetite. 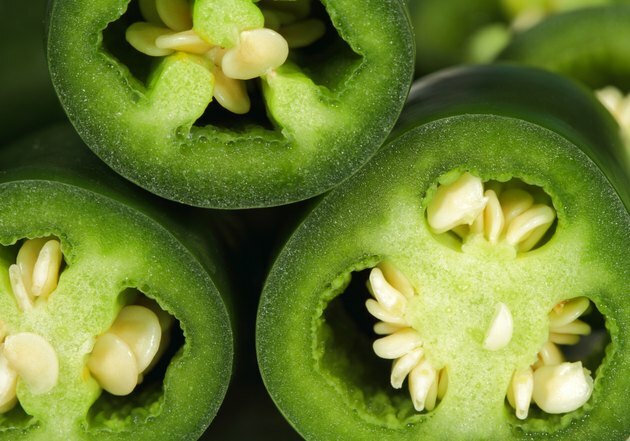 The belief that hot peppers may cause ulcers persists, although "Real Simple" magazine indicates that peppers have no causal effect. 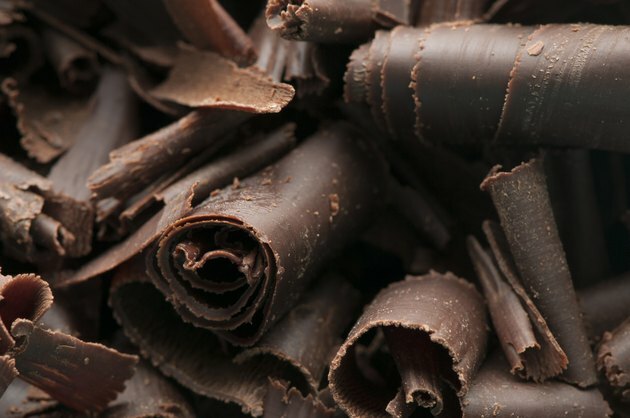 Eating chocolate may aggravate ulcers by contributing toward heartburn, so cutting chocolate from the diet may help. The College of Family Physicians of Canada indicates that avoiding both caffeine and milk both may help heal an ulcer, and chocolate contains both. A 2-ounce serving of semi-sweet chocolate provides 44 milligrams of caffeine, and 2 ounces of bittersweet chocolate contains 68 milligrams, according to Amano Artisan Chocolate. Some people think drinking milk or eating milk products such as chocolate may help ulcers heal. Although this may temporarily make the stomach feel better, it can ultimately worsen symptoms because it can trigger heartburn. 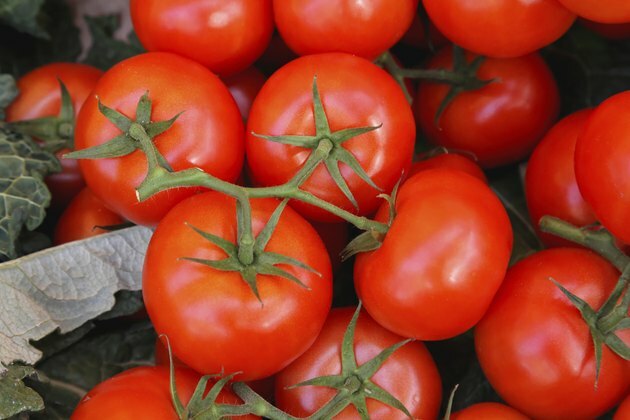 Avoiding tomatoes may be beneficial for those with ulcers. Tomatoes have below pH of 4.6, making them a high-acid food, according to an August 2010 article in the Inter-Mountain newspaper. High-acid foods such as tomatoes may trigger heartburn in some people and irritate ulcers. One home remedy for ulcers involves eating sliced tomatoes with pickled lemon and honey to shrink the sores in the digestive system. Amano Artisan Chocolate: How Much Caffeine is in Chocolate?